Nestled at distinctive and nonetheless impressive Table Mountain, Cape Town - or as we like to call her: the Mother City - is a true gem. Although infamous for her high crime rate and townships, this city does not fail to impress travelers from all over the globe with its vibrant cultural scene, amazing surf spots and supermodels spending the European winter there. There is one thing that will strike you as soon as you leave the plane: wonderful bright light, amazing both tourists and photographers - especially when you are arriving from a wintery country. So be prepared for unbelievably beautiful pictures and bring the best sunscreen and sunglasses. Cape Town is buzzing with art, design and subculture. Just be streetwise and dive into the many faces of the city to experience the true feeling of the Mother City. 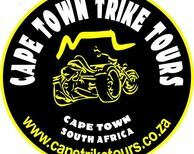 Tour information for Full day cape winelands trike tour. A beautifully scenic trike tour for two along the world famous Cape wine route with various stops including two wine tastings.